While driveway gates are an excellent first line of defense against unwanted intrusions onto your property, they may suffer damages from time to time from an array of different sources. Wet weather may cause your wooden gates to rot, or your iron ones to rust. Components may become worn down over time with extensive use, or unexpected failures with your motor may occur, leaving you in a bad situation. Whatever sort of trouble your gate has been giving you recently, getting it fixed is easy enough with the assistance of one of our technicians at Gate Repair Castaic! All you need is to give us a call, and we will take care of everything else. 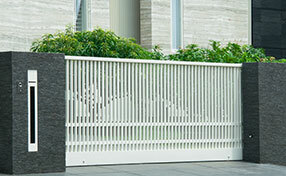 When your gate has been damaged by harsh weather, accidents or just old age, it can not only present a security issue for your home, but is often also unsightly. Restore your homes sense of style and protection by having one of our technicians conduct driveway gate repairs for you, and gain better peace of mind. Is your opener acting up? 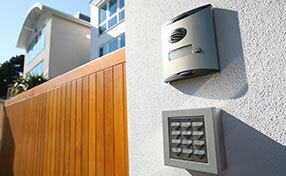 Having an opener fitted to your gate will power it so that you can enjoy the convenience of seamless automation. Unfortunately, friction from their moving parts, as well as adverse weather conditions may damage them over time. If your opener has been giving you problems, stalling and becoming unresponsive, our technicians can provide you with the gate opener repairs that you need. Your gate’s hinges are responsible for safely supporting it, helping it move more easily, as well as keeping it correctly aligned so that it can work as it is supposed to. 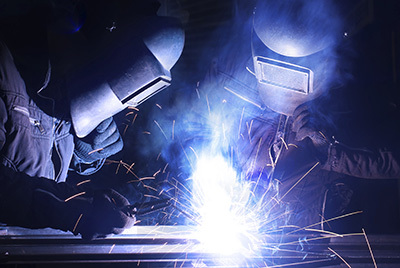 If yours has become misaligned, or you have noticed stress marks or cracks in its hinges, don’t wait for the problem to worsen, speak to one of our technicians about our hinge welding repair services to get it working securely and safely. 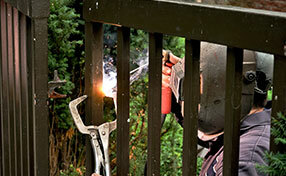 Call today and speak with one of our technicians about having your gate repaired! We'll get your gate up and running safely by the end of the day. Let us know how we can help!